As we all know, mosquitoes lay eggs in stagnant water. But did you know that a certain type of mosquito likes to lay eggs in areas where there is flooding? Here’s to give you an idea about the types of mosquitoes according to their breeding areas and how to eventually stop them from spreading various diseases that they carry. The types of mosquitoes according to their breeding areas are classified into three major groups or types. The first type is the one responsible for infecting humans with the disease Yellow Jack or more commonly known as Yellow Fever. Yellow fever is an acute hemorrhagic disease that presents symptoms like fever, chills, anorexia, nausea, backaches and headaches which subsides after a few days. In some cases of this disease, the patient’s liver may become toxic and then jaundice (yellowish discoloration of the body) occurs because of liver damage and may lead to death. The mosquitoes that are responsible for this disease are those that lay eggs in areas that is always experiencing floods. The mosquito eggs are hatched once there is the presence of enough moving water. The second type of mosquitoes is mosquitoes which lay their eggs in stagnant or permanent water like ponds, bird baths and flower pots. 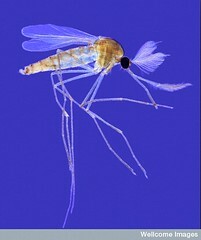 This is also known as the Anopheles type which are the most commonly known mosquitoes. These mosquitoes are the carriers of the disease called Malaria. Malaria is a mosquito-borne disease in human and also in animals that causes infected victims to experience symptoms like fever and headache which at some point, may lead to coma or even death. The last type of mosquitoes according to the breeding places is known as the Third Type. 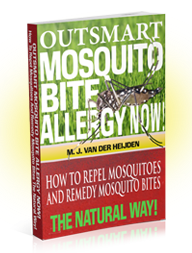 It is those types of mosquitos that can reproduce or lay eggs in areas with very little amount of water. 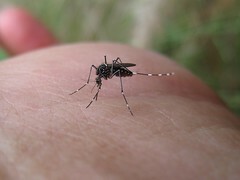 An ounce of water is enough for these mosquitoes to lay and hatch their eggs. In order to control this type of bloodsucking insect, it is best not to let any water stay in containers, no matter how small. It is also advised that whenever the rainy season comes, all water containers or any possible breeding areas for these mosquitoes be regularly checked or emptied. There are several ways to control or eliminate these harmful insects that pose great threat to human health. One best way that I can site is to maintain the surrounding area of your homes clean and free from any possible breeding grounds for mosquitoes to thrive. Keeping them from breeding near your house is the answer to prevent them from harming you and your family. 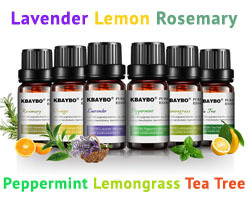 For persons that do not want to use synthetic chemicals in mosquito repellents or get an allergic skin reaction when treating a mosquito bite there is a more natural and alternative way called aromatherapy with essential oils. A natural mosquito repellent can be made quickly and easily with a few drops of essential oils. It is a safe and nontoxic alternative to many repellents and remedies that contain harmful chemicals and other additives. The following list of essential oils, when blended together, will form a barrier against mosquito bites and possible infections, and at the same time gives your surroundings a more pleasant aroma.. 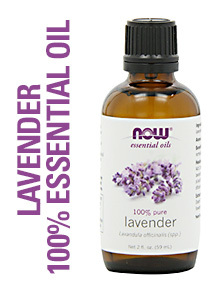 Lavender 100% Essential Oil is one of the commonly used oils for aromatherapy. Lavender oil contains an antimicrobial agent which heals the skin without leaving common bite scars. Rub lavender essential oil on the affected area and it will stop itching and start to heal right away. Lavender Essential Oil can also be used as a repellent when mixed with distilled water in a small spray bottle to cover your exposed skin and/or clothes and also by spreading it around as a frangance mist by using an Ultrasonic Essential Oil Diffuser. 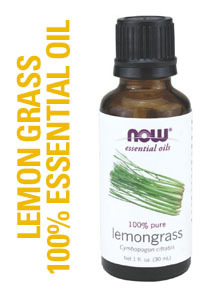 Lemon Grass 100% Essential Oil can be used as an all natural mosquito repellent. Just mix a few drops in a spray bottle together with distilled water and spray it lightly over your arms, legs etc. to keep a barrier between you and thoise pesky skeeters. It has a fresh citrus aroma and known for its antiseptic and insecticidal properties. 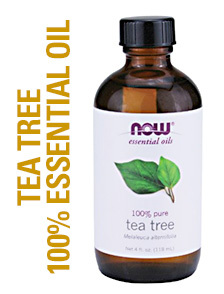 Tea Tree 100% Essential Oil acts as an anti-inflammatory, itch-reliever, and prevents bacterial infection when you have been biten by a mosquito. Just add a couple of drops on a cotton swab and rub onto the affected or swollen area of the bite. A Tea tree oil mixed with lavender oil can ward off mosquitoes also just put a few drops in an Ultrasonic Aroma Diffuser and don't get bothered by mosquitoes again! 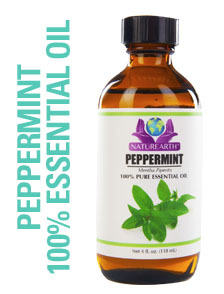 Peppermint 100% Essential Oil has a nice fragrance and also repels mosquitoes. You can use it to dilute it with water in a small spray bottle, but you can also want to rub some small dabs on your clothing or parts of your body. Make sure to rub a little bit on your forearm to test it out. 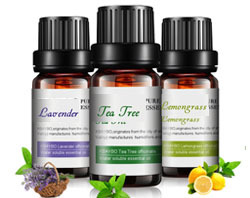 You can also add a couple of drops to an Aromatherapy Diffuser that will immediately spread the fragrance .